For a change a display from Africa. This was see in Accra, Ghana, on 10 March this year. The photo was taken by Kwaku Chintoh. Sun is at 75.5 degrees elevation. 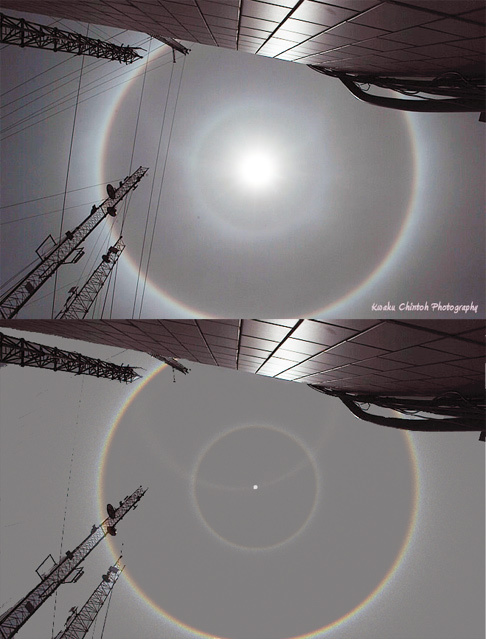 The two sun concentric halos are rather 9° column arc and circumscribed halo than 9° and 22° halos. That is because of their sharpness - circular halos from randomly or very poorly oriented crystals are expected to be more diffuse. 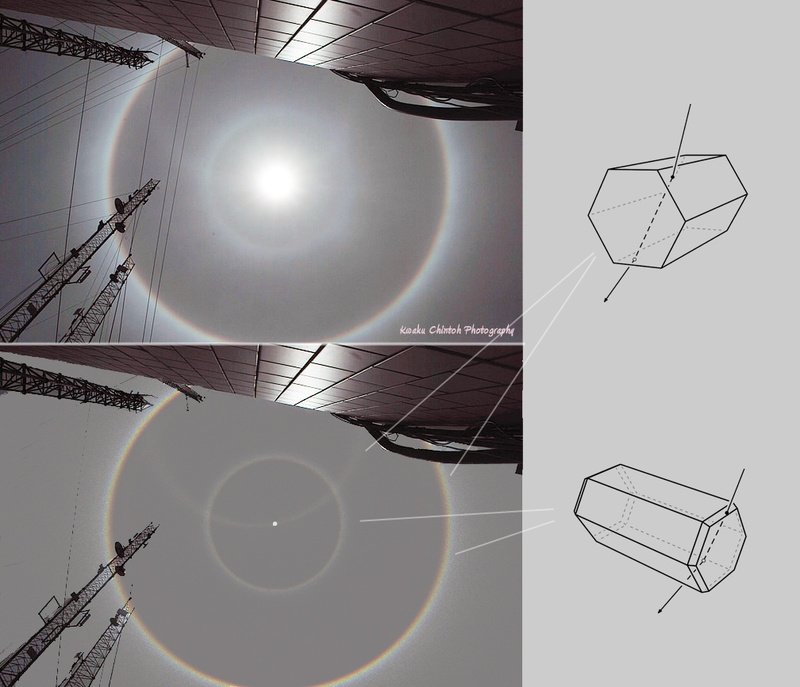 There is also parhelic circle. What a spectacular high sun display! In Finland we can but dream about these. Under high sun conditions one should always look for circumhorizon arcs, as their intensity is predicted to drop for h>75 deg already, cf.